Let’s face it, just because you’re young in years, doesn’t mean you don’t experience skin problems. If you’ve been on the fence about skin rejuvenation, we have the solution. At Miami Skin and Vein in Coral Gables, we’re happy to offer our patients Clear + Brilliant gentle laser treatments. Clear + Brilliant is a revolutionary laser skin treatment that is especially great for first time patients in their 20s, 30s, and 40s because it’s clinically proven to facilitate younger looking skin by preventing and reversing the early signs of aging. Why Choose Clear + Brilliant? Clear + Brilliant is different from more powerful laser technologies. Dr. Patel often refers to Clear + Brilliant as the “baby Fraxel” because it uses similar technology at a lower strength. Clear + Brilliant is effective at revealing radiant, smoother skin with shorter treatment sessions and minimal downtime. The non-ablative laser treatment is done with a specialized device that has a small roller attachment. 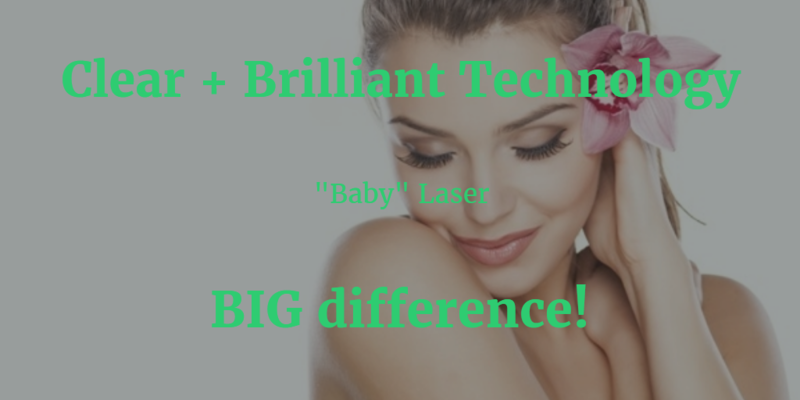 The device focuses laser energy on the skin, stimulating the skin’s natural healing process. While the skin heals, collagen production increases, resulting in skin that looks and feels younger. For optimal results, patients need up to six treatments, scheduled once or twice per month. For maintenance, patients can schedule a session every few months. Dr. Patel recommends using a broad-spectrum sunscreen daily with reapplication every two hours. Proper diet and exercise along with a daily antioxidant can keep skin looking radiant and vibrant. To find out how our patients in Coral Gables, Fort Lauderdale and Miami are achieving beautiful skin, contact us today by calling 786-618-5039 to learn more about Clear + Brilliant gentle laser treatments.